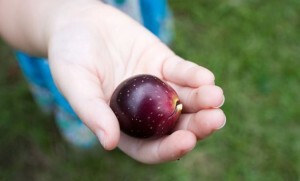 This year, our entire muscadine crop consisted of one grape. All the pruning, all the composting, all the watering and … one grape. We overlooked one thing: ph. The vine won’t fruit if the soil is too acidic. This year we will start applying granular lime in the winter and we will apply hydrated lime during the growing season. Next PostNext How long should an engagement be?